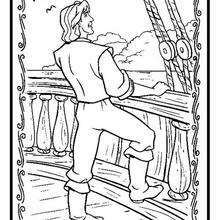 British Adventurer John Smith, who travels the Atlantic with the Virginia Company to establish Jamestown, is after gold to increase his wealth and power back home. 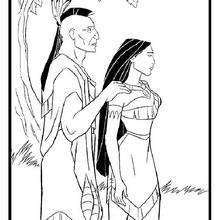 He discovers a new world and falls in love with Pocahontas an American Indian. 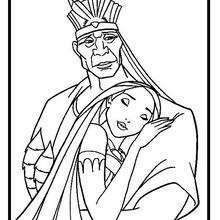 This becomes problematic when their two cultures collide. 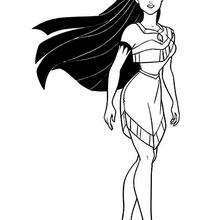 Disney's animated film Pocahontas is a discovery of Princess Pocahontas's destiny and how to bring peace to her people. 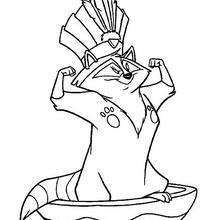 This Meeko the raccoon coloring page can be decorated online with the interactive coloring machine or print to color at home. 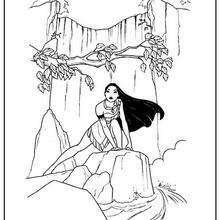 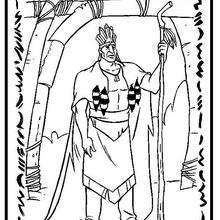 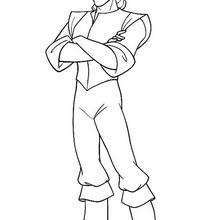 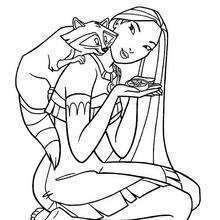 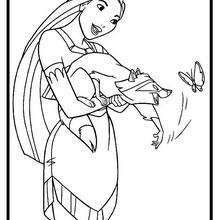 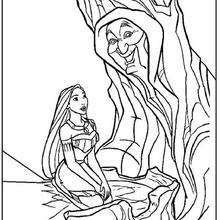 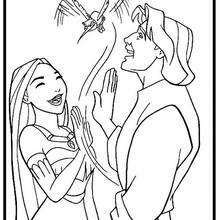 You will find Pocahontas and other Disney movie coloring pages, videos, and fun activities for you to enjoy from Hellokids.